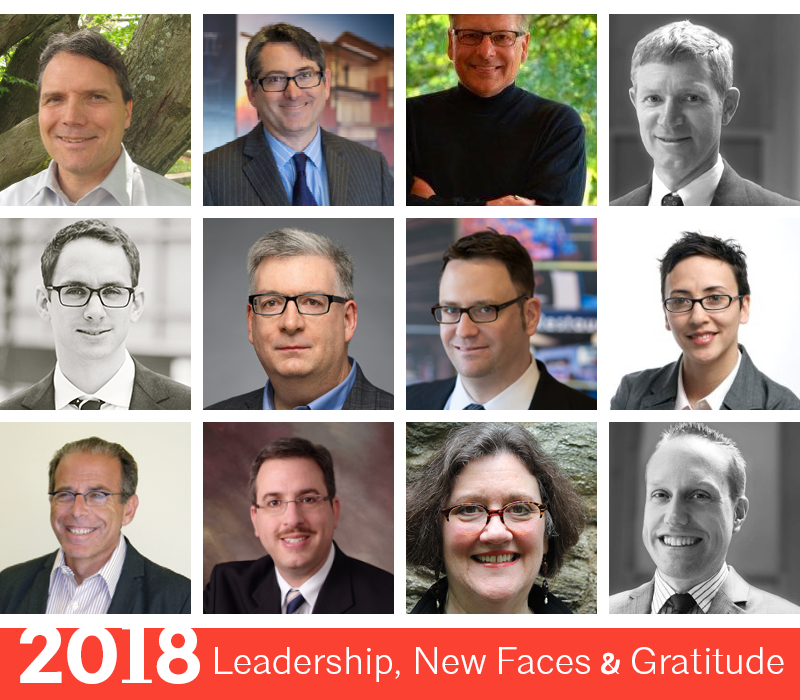 AIA Pennsylvania is pleased to announce its 2018 Board of Directors and governing Executive Committee members led by 2018 AIA Pennsylvania President, Scott J. Compton, AIA. After setting the foundation for success in 2017 with the assistance of outgoing President Robert Kelly, Mr. Compton is ready to dig in implement a bold, new undertaking for 2018. Scott serves as Managing Principal of Chicago-based Klein and Hoffman‘s Philadelphia Office, where his responsibilities include general financial oversight, serving as Principal Architect, and representing the firm within the professional community while expanding business development opportunities in the region. Learn more about Scott’s career trajectory and areas of expertise here. The following board members will join Mr. Compton as members of the Executive Committee. Desmone is Principal/President of Desmone Architects with offices in Pittsburgh and Morgantown. Pastva is a project architect Bright Common in the Northern Liberties neighborhood of Philadelphia. Sinagra is a Senior Project Manager for Civil & Engineering Consultants, Inc. in Pittsburgh. Mondor is co-founder of evolveEA located in Pittsburgh. Skolnick is a Partner at PZS Architects in Philadelphia. AIA Pennsylvania welcomes back the following Board Members representing eight local AIA chapters from across the Commonwealth. AIA Pennsylvania extends a warm welcome to three new board members in 2018. Additionally, AIA Pennsylvania thanks the following outgoing board members for their service and leadership.